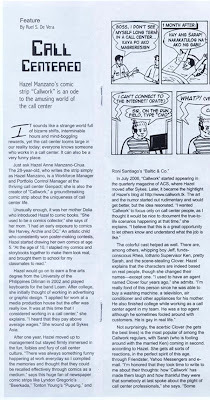 Callwork is featured today in Sunday Inquirer Magazine. Thanks to Ruel S. De Vera for the wonderful article. 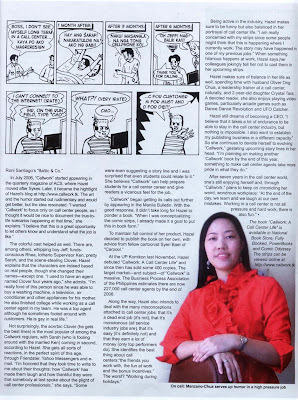 seems like you'll be the next queen of philippine comics!!! Naks naman! Super unreachable ka na! Congrats! Gawa na tayo ng Clover shirts! Hehehe!